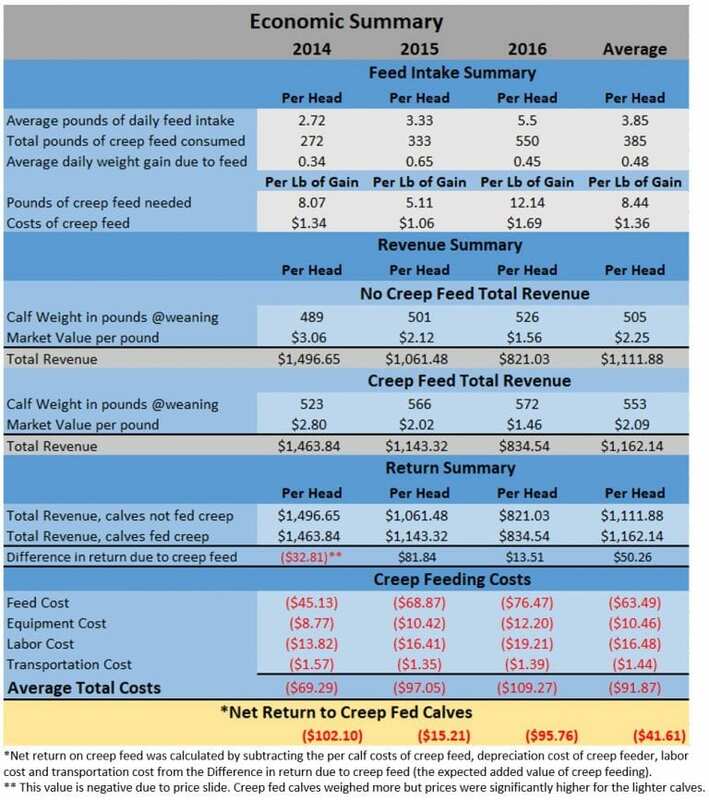 » Is Creep Feeding Beef Calves Profitable? Conceptually, creep feeding provides increased nutrition to growing calves, which increases their weight at weaning. More pounds of calf to sell at weaning increases revenue, but does it increase profit? Past research has shown that supplementation (creep feeding) directly to growing calves significantly effects their weaning weight. Creep feeding may potentially address other concerns such as decreased calf productivity due to undernutrition to dam during gestation. In this work, it was also found that creep fed calves retained added weight from weaning through slaughter. The supplemental feed used in these experiments was a commercially available mix and used an additive designed to control intake. This is a commonly applied method of creep feeding, since it is thought to reduce labor costs associated with daily feeding and feed handling.